Participants can submit their Project Ideas between September 16 (10:00 AM) - September 20 (11:55 PM), 2017. A Project can comprise of maximum FIVE participants only. 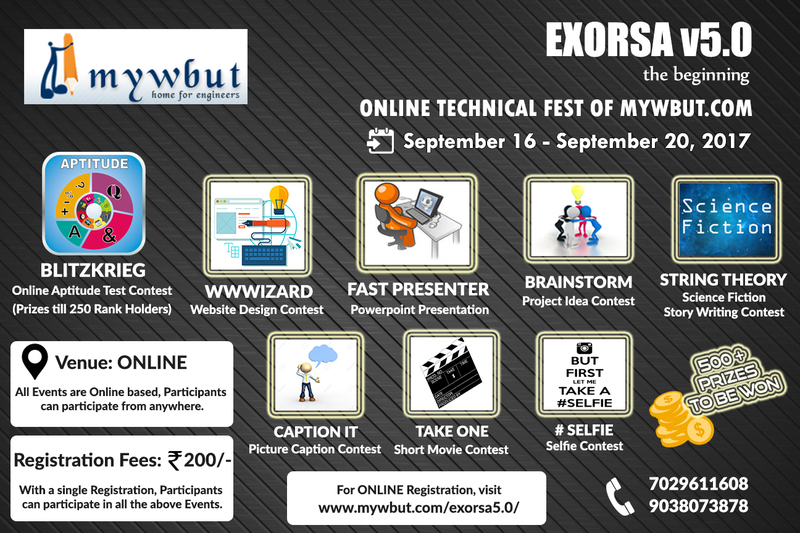 All participants must be registered for EXORSA v5.0.